This was my first "FAM" trip with the FAA. My boss, Jack Schommer, set it up so I could see some of the local VFR landmarks in and around the Anchorage area. His friend, Mike Pannone was making a trip to Talkeetna for business in his Piper Cherokee 180. The plane we flew used to be Jack's, prior to him selling it to Mike. I got to do a lot of the flying, except the landing part, since I only have one grass strip landing logged and it was a long time ago. Anyway, got to spend the afternoon flying up and down the Mat-Su Valley while still on the clock at work. Most photos have explanations attached. Enjoy. 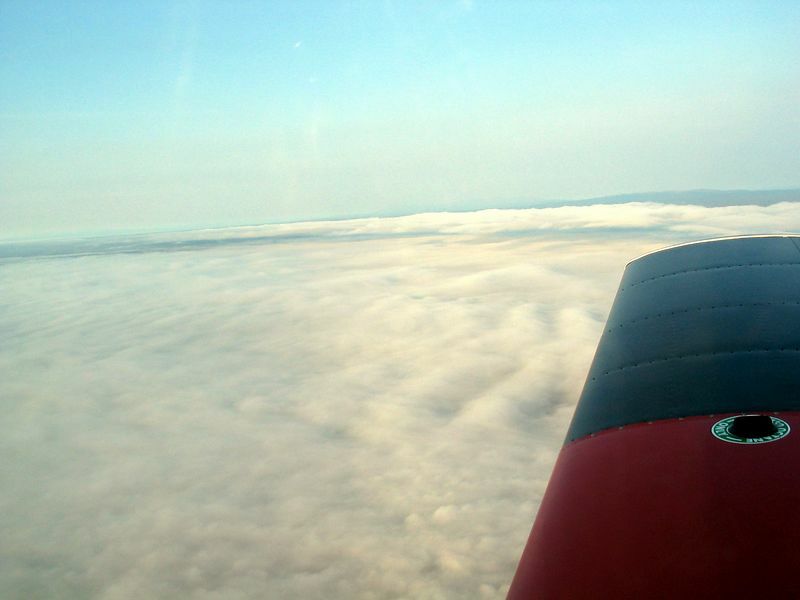 Talkeetna Airport below us, obscured by low clouds, unable to land.